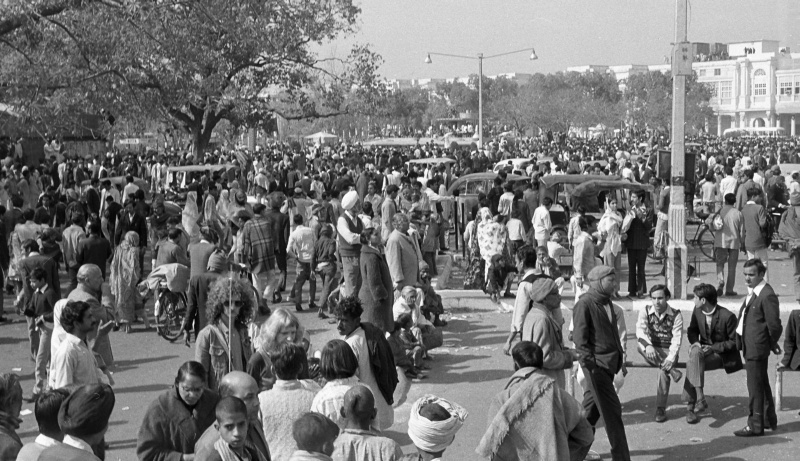 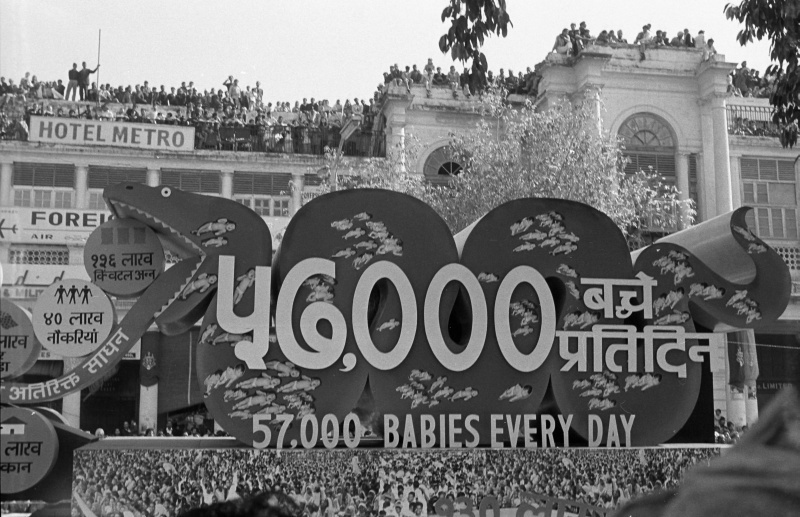 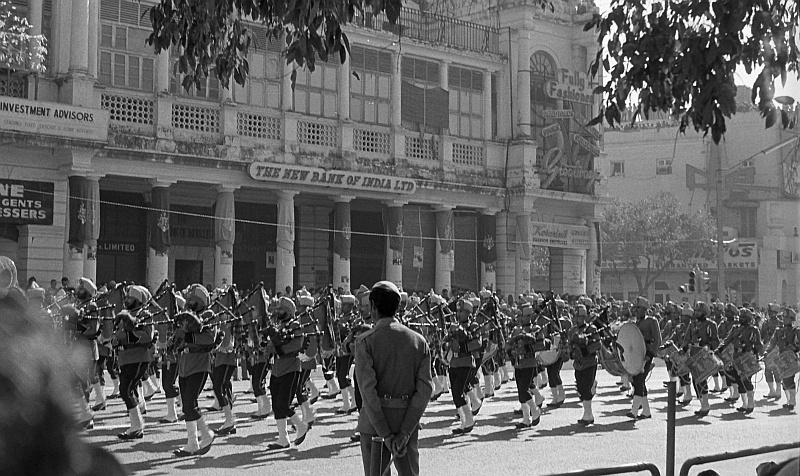 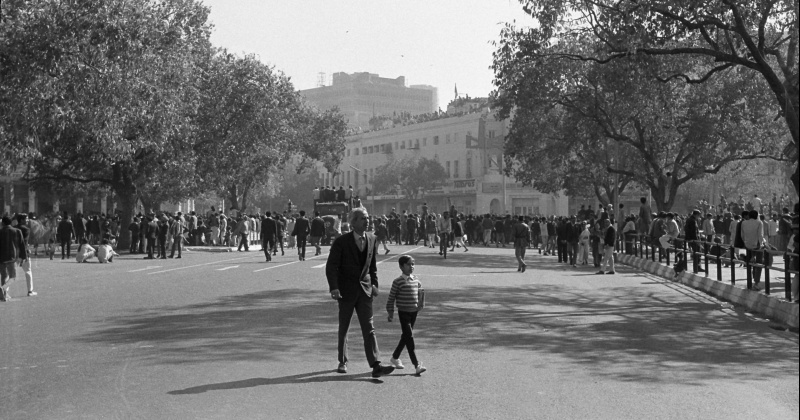 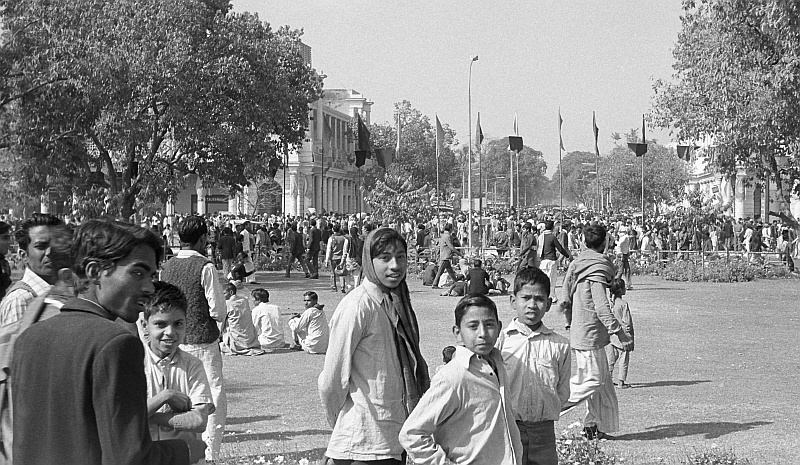 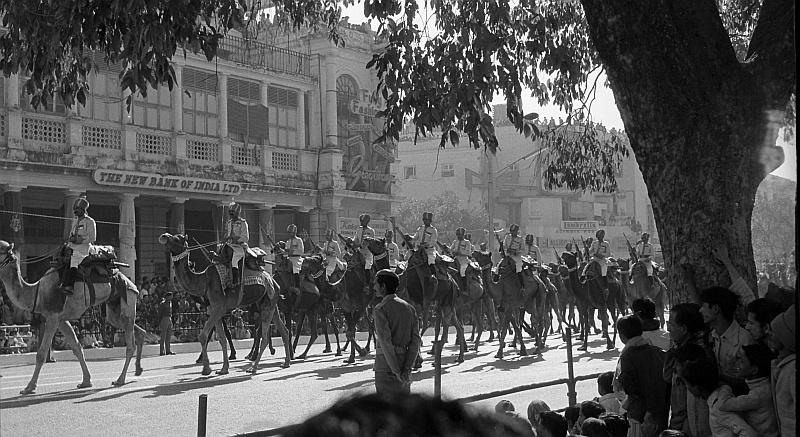 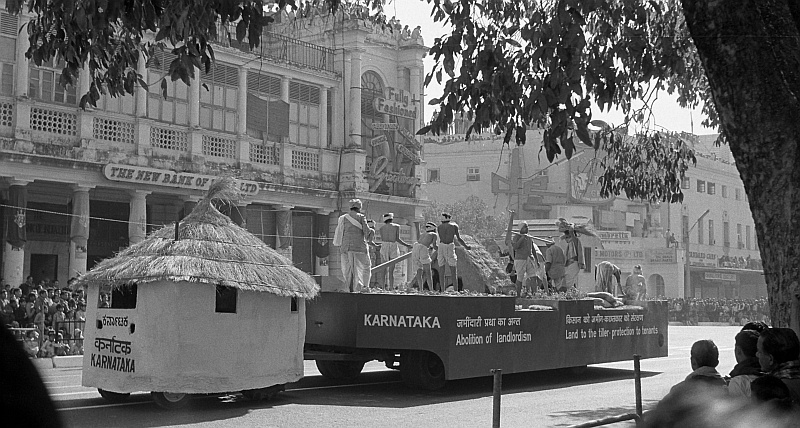 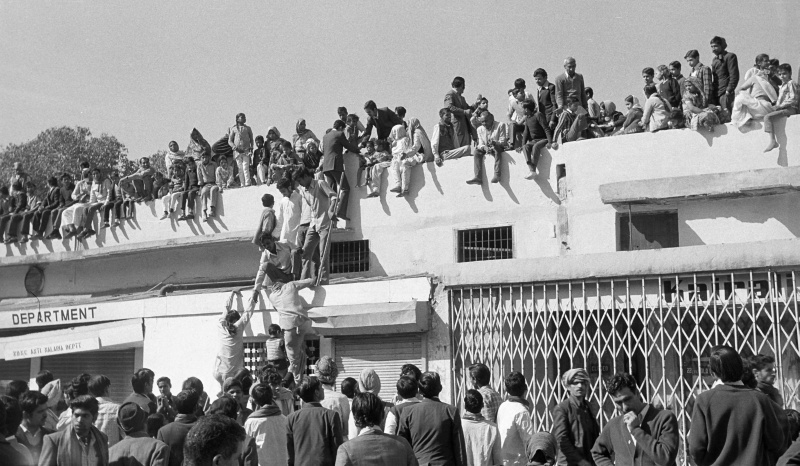 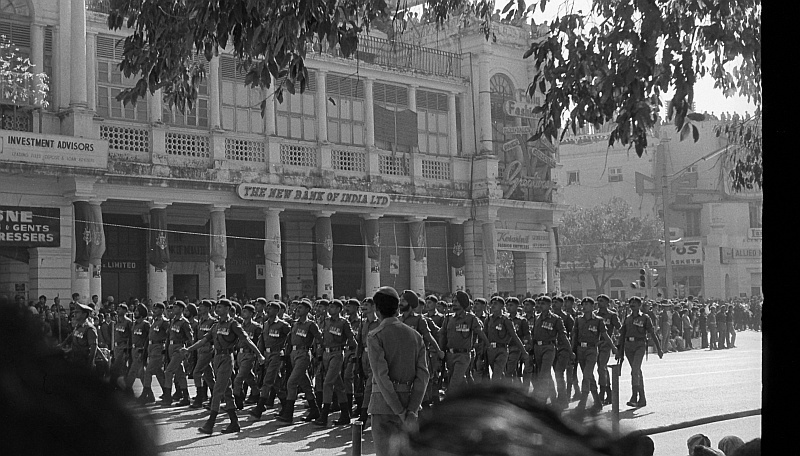 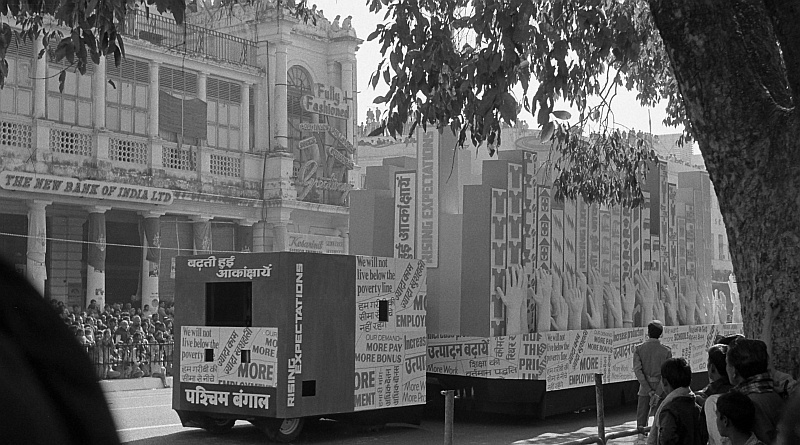 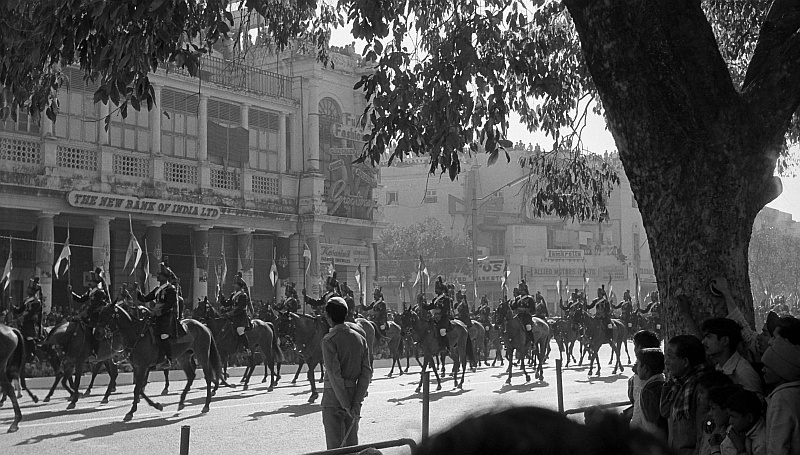 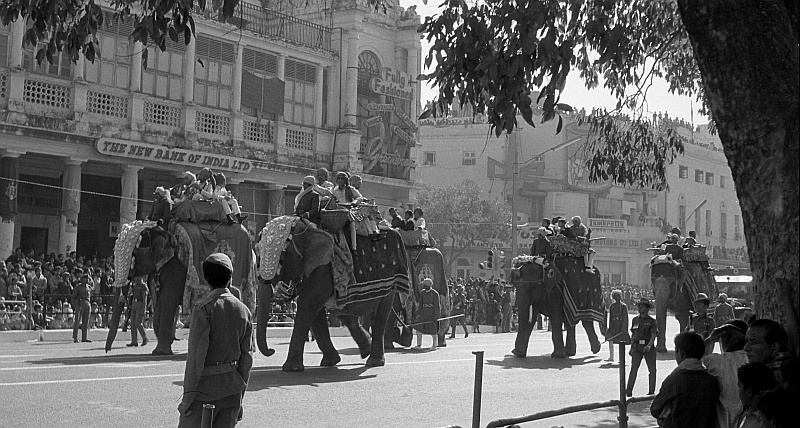 Republic Day 26 January 1974 in New Delhi, 15 photos. 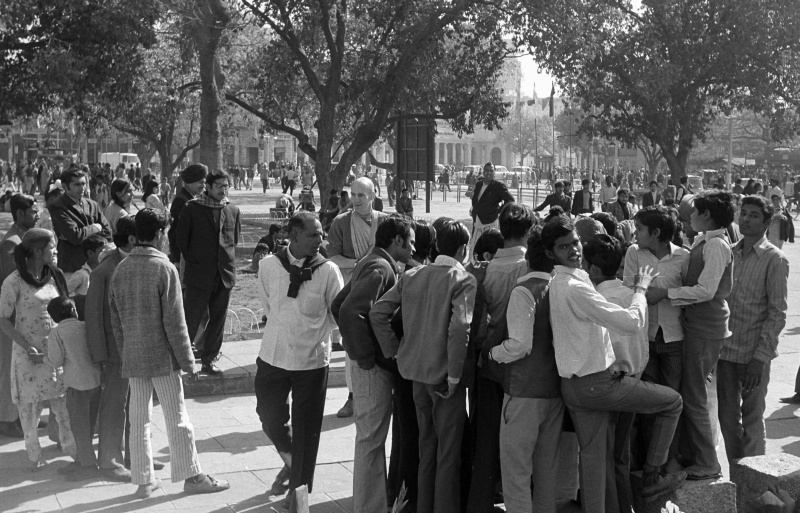 ^ Curiosity around a dancing member of the Western Hare Krishna sect. 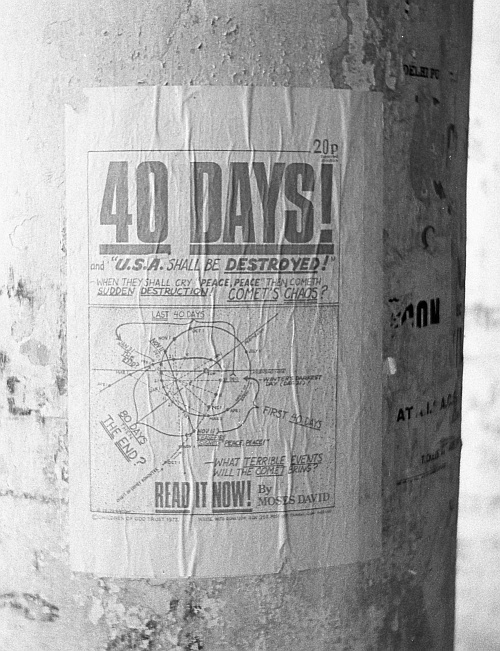 ^ An American sect had predicted the end of the USA due to comet Kohoutek in the winter of 1973/1974. 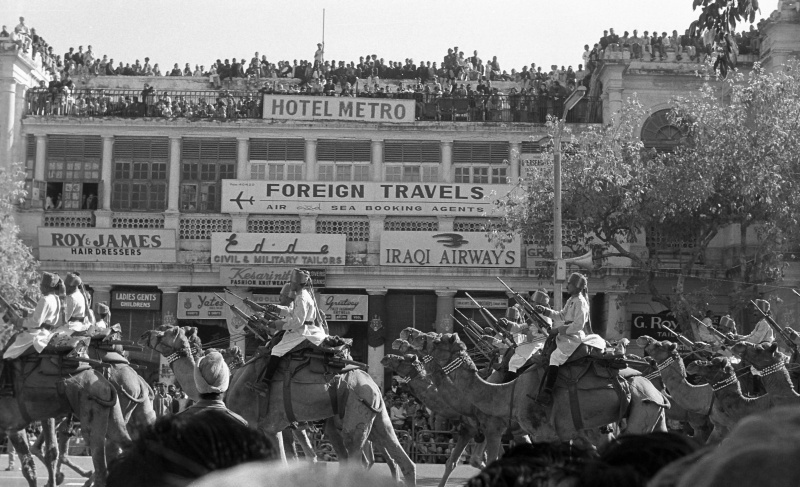 The members of the sect had spread already across the world, and apparently also to India. 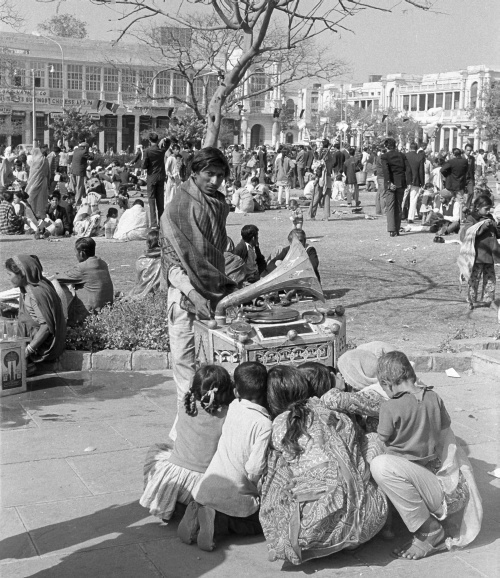 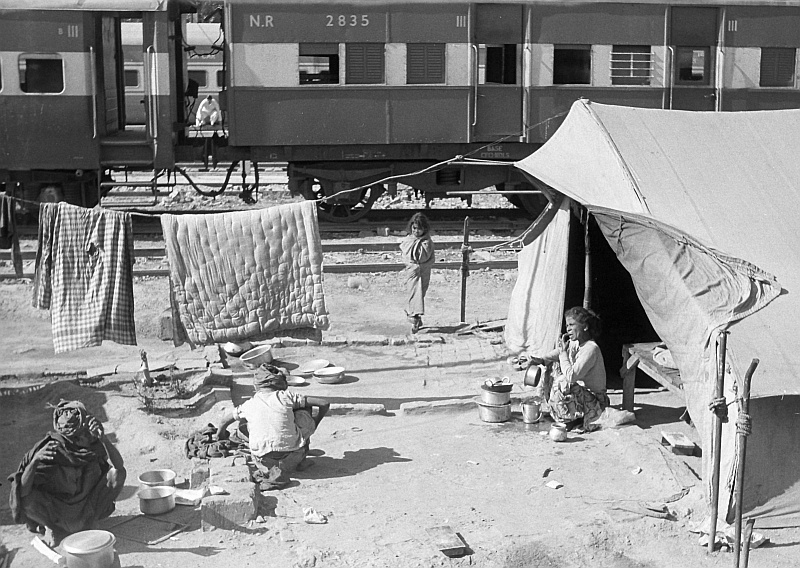 ^ On the outskirts of New Delhi railway station.